Did you know you can now order your Deliveroo takeaway from Masala Kitchen here on View? For a great variety of Indian dishes try stopping by the Masala Kitchen. The friendly service and tasty food makes it popular with locals. 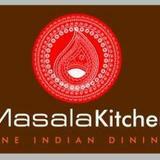 Do you work at Masala Kitchen? 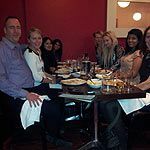 What did you think of Masala Kitchen? Ordered from here numerous time.95% of the time amazing food. Relatively long wait for delivery but just order earlier!! Would definitely reccomend. First time ordering a take away from Masala Kitchen, and I wont be again. I found the samosa's overpriced for how tiny they were, the mango chutney was literally a pot filled with flavoured water- not a chutney with mango pieces.... It literally was discoloured water! Lastly, the garlic naan bread was bland, I couldnt taste any garlic, it was burnt on the bottom to the point it was hard and unedable. The main course however I will praise, as the lamb was nicely cooked.